Connecticut Valley School of Woodworking (CVSW) attracts some of the best instructors in the country. Weekend and specialty classes include everything from a one night sharpening class with Bob Van Dyke to a 5 weekend class with Will Neptune making an Eliphalet Chapin CT valley lowboy in cherry. CVSW is proud to host frequent, regular classes with nationally known craftsmen and instructors such as Phil Lowe, Steve Latta, Will Neptune and more. These offer a mixture of single weekend skill building classes and multi-weekend project classes. Classes with Phil Lowe have included carving a cabriole leg, using traditional hand tool skills, while project classes have featured a Queen Anne style tea table or lowboy, to a serpentine front chest of drawers. Will Neptune’s classes include the best table saw joinery class you can imagine, cutting dovetails every which way but normal, to advanced projects like a Chippendale piecrust table, a Chapin side chair or a veneered Seymour work table. 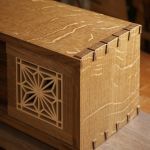 Steve Latta brings his own unique approach to techniques such as veneering and inlays in the Federal style, along with teaching a quick, practical way of cutting dovetails on the table saw and doing string inlay using his own design for an extremely effective scratch stock. After 18 years as an award-winning chef in French restaurants Bob left the business to begin a career in woodworking and teaching. Mickey has more than 25 years of experience as a designer and maker of museum-quality, fine custom period and contemporary furniture. Andrew is a custom furniture maker working and living in New York's Hudson Valley. Matt is a professional hand saw sharpener, hand tool woodworker and saw enthusiast who has been using and sharpening hand saws since 2002. Peter lives in Kingston, Massachusetts, in an early 19th-century house. He worked as a joiner at the Plimoth Plantation. Matt Kenney is a professional box and furniture maker living in Northwest Connecticut. Steve Latta has been a professional furniture and cabinetmaker for nearly three decades and teaches woodworking at Thaddeus Stevens College of Technology in Lancaster, Pa.
Phil Lowe has been involved with woodworking since 1968 and is the author of many articles in Fine Woodworking magazine. Teri's career in antique restoration, furniture building and furniture finishing began as a fourteen year old apprentice to a Fine Arts Dealer in Amherst, New Hampshire. Mary May has been carving wood for over 20 years. Will Neptune is a furniture maker and master-carver working in the Boston area. Darrell Peart resides in Seattle Washington and started his career making and selling small wooden items at Seattle's Pike Place Market. Mike Pekovich studied both furniture making and graphic design in college and is Art Director for FineWoodworking magazine. Kevin Rodel has over 30 years experience building and designing fine custom furniture. Walter trained as a stonecutter at the Art Development Program for Youth at the Hartford, CT Wadsworth Atheneum. Christopher Schwarz is a long-time woodworker and writer who has spent the last 15 years encouraging woodworkers to embrace more handwork in their shops. Doug Smith founded Douglass Yankee Craftsman 10 years ago to satisfy his desire to produce fine quality handcrafted wood products.